Who invented the Laser? The name of the person credited with inventing the Laser is Ted Maiman (1927 - 2007). Ted Maiman is not only famous as the American inventor of the Laser but also as a physicist and engineer. When was the Laser invented? Ted Maiman invented the Laser in 1960, during the Cold War period of invention. The invention originated in America and is considered a highly influential achievement in the field of Technology. 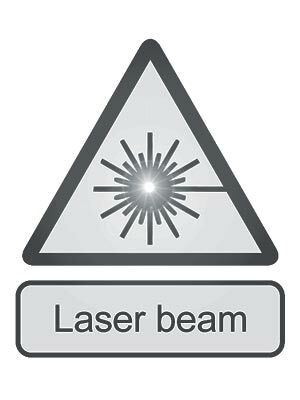 Definition of the Laser: The Laser is defined as a device for the creation and transmission of light through a process of optical amplification based on the stimulated emission of radiation. The term "laser" originated as an acronym for "Light Amplification by Stimulated Emission of Radiation". Laser beams are precise powerful, and produce amazingly useful beams of energy. Fact 1: Who invented the Laser? The Laser was invented by Ted Maiman in 1960 during the Cold War era of inventions which was a totally outstanding addition to advancements made in the area of Technology. Fact 2: Who invented the Laser? The conception of the laser traces back to a theory proposed by Albert Einstein in 1917. Prior to the invention of the Laser in 1960, radio, X-rays and radioactivity which generated significant interest in the power that might be held in rays of light. Fact 3: Who invented the Laser? Without the invention of the LASER "Light Amplification by Stimulated Emission of Radiation" there would be no fiber optic data transmission systems that send information over fiber by turning electronic signals into light. Fact 4: Who invented the Laser? Data on CDs (Compact Discs), CD-ROMs, and DVDs, that are read by bouncing a laser beam off the shiny surface of optical discs would never have been invented. Neither would items such as supermarket bar code readers and and laser printers. Fact 5: Who invented the Laser? Without the invention of the laser millions of people would be blind who can now see. The laser enabled the development of bladeless, pain free laser eye surgery and the invention of LASIK. Fact 6: Who invented the Laser? The inventor of the Laser, Ted Maiman, was born on July 11, 1927 in Los Angeles, California, United States and died on May 5, 2007. He was destined to become one of the most important inventors of the 20th Century. Fact 7: Who invented the Laser? The early years of Theodore 'Ted' Harold Maiman were spent in Los Angeles, California in the United States where he was raised by his family. Abraham "Abe" Maiman, an electrical engineer and inventor, and his mother was Rose Abramson. Fact 8: Who invented the Laser? The Maiman family relocated to Denver, Colorado where Ted Maiman attended High School. His father had set up a home electronics laboratory and Ted Maiman became interested in electronics, making pin money by repairing radios and other electrical appliances. Fact 9: Who invented the Laser? Following his education Ted Maiman's first job was as a junior engineer with the National Union Radio Company. WW2 (1939 - 1945) broke out and Ted joined the US Navy. At the end of the war he returned to education and earned a B.S. degree in Engineering Physics from the University of Colorado Boulder. Fact 11: Who invented the Laser? Ted Maiman then gained a position at Hughes Research Laboratories where he led the ruby maser redesign project for the U.S. Army Signal Corps. The maser (Microwave Amplification by Stimulated Emission of Radiation") had been developed by Charles Hard Townes, James P. Gordon and H. J. Zeiger and was the forerunner of the laser. Fact 12: Who invented the Laser? Ted Maiman finished his Maser project in 1959 and turned his attention to the development of the laser. Others had unsuccessfully tried to pump energy into a ruby but were unable to achieve amplification of light. Fact 13: Who invented the Laser? Ted Maiman made his breakthrough that resulted in the invention Lasers when he realized that source of light did not have to shine continuously. His basic idea of the laser was simple. It was to use a tube that concentrated light over and over again until it emerged as a really powerful beam. Fact 14: Who invented the Laser? Ted Maiman, with the help of his assistant Irnee d’Haenens, assembled a very bright lamp with a spiral shape and fitted a synthetic ruby inside a tube. On May 16, 1960 Maiman and d’Haenens observed pulses of red light. It was the world’s first laser. Fact 15: Who invented the Laser? Ted Maiman filed for a patent for his 'Ruby Laser Systems on November 29, 1965 and patent number US3353115 was granted on November 14, 1965. Fact 17: Who invented the Laser? Ted Maiman left the Hughes Research Laboratories to become vice-president of the newly formed Quantatron company, which grew in-house ruby crystals for lasers. He then became the president of Konrad, a commercial laser company and then worked as a consultant in the laser industry. Fact 18: Who invented the Laser? Ted Maiman’s invention literally changed the world and were especially valuable in the field of medicine including dentistry and eye surgery.. Fact 19: Who invented the Laser? Ted Maiman died on May 5, 2007 from systemic mastocytosis. He will be remembered as the "Father of the electro-optics industry" due to his great invention. Fact 20: Who invented the Laser? Recognition for Ted Maiman and his invention continued posthumously with awards such as the 1984 Wolf Prize in Physics, the Japan Prize, the Asian equivalent of the Nobel Prize and was inducted into the Inventors' Hall of Fame, also in 1984. Fact 21: Impact of the Laser? Lasers are also used for defence in detecting explosives and biochemical hazards, in the field of energy to ignite nuclear fusion, for communications notably broadband internet, in manufacturing for enabling intense cutting and welding power, in the environment for analysing concentrations of greenhouse gases and were even used for measuring the distance to the moon.